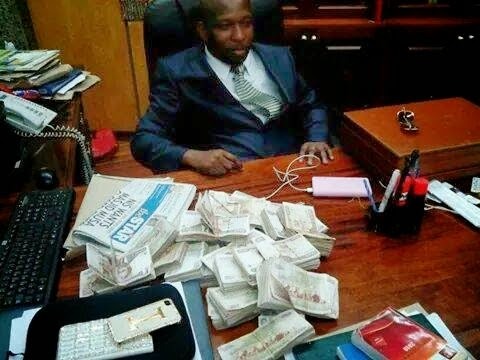 Senator Mike Sonko has proven to us on countless times that he is indeed filthy rich, as they say, every celebrity have their own swag and Mike Sonko's is to flaunt his cash, cars and properties. But one of his greatest strengths is to help, he spends a lot of money to help he needy and support local projects. Here is one of the photos he shared recently, it seems that this is what he carries in his pocket everyday. Just to estimate, the guy carries over a million in his pocket daily. check him out.